Cannonway was formed in Hong Kong in 1989 to provide a high quality construction consultancy services to all parties involved in the construction industry. The directors of Cannonway each have many years experience dealing with construction contracts, quantity surveying services, project control and management services, and claims and disputes services in varying sectors of the construction industry. We utilise this experience to seek the most appropriate solutions to the many and varied problems that are found on construction projects and to provide a full range of construction services. Our directors are resident in Hong Kong and Europe, and immediate attention may be given to matters on a worldwide basis. Our services are applied to all types of construction including building, civil engineering, power, oil, gas, petrochemical, and other process engineering, mechanical and electrical installations, fire services, heating, ventilation and air conditioning, plumbing and drainage. Services can be provided at any location and in addition to Hong Kong, Cannonway have provided services in PRC, Macau, Japan, Taiwan, Thailand, Vietnam, Singapore, Indonesia, Malaysia, the Middle East, Russia and South America. A list of projects is set out in the projects section. Cannonway Energy Ltd. is a specialist company under the Cannonway Group, specifically set up to deal with the human resource requirements and contractual & commercial aspects of the oil, gas, petrochemical, power and process engineering industries. 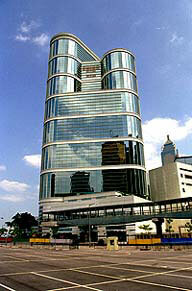 The company is run from the Hong Kong office. Cannonway Consultants (UK) Ltd. is our London office, and Cannonway Construction Consultants (Macau) Ltd. is our Macau office - providing project and construction management as well as commercial and contractual services. Through membership of Project Chambers a wide range of further specialist consultancy services relating to capital projects can be provided. "Cannonway were flexible in their approach and we had an excellent relationship with them at all times. We would have no hesitation in recommending them to others who require a similar service." "In particular, I would recommend Cannonway's involvement in the early stages of a project where their extensive experience in the petrochemical field could prove invaluable."